KYUNG SOON PARK’S new illustrations for the Personal Record column for Running Times Magazine is turning into a wonderful new series. 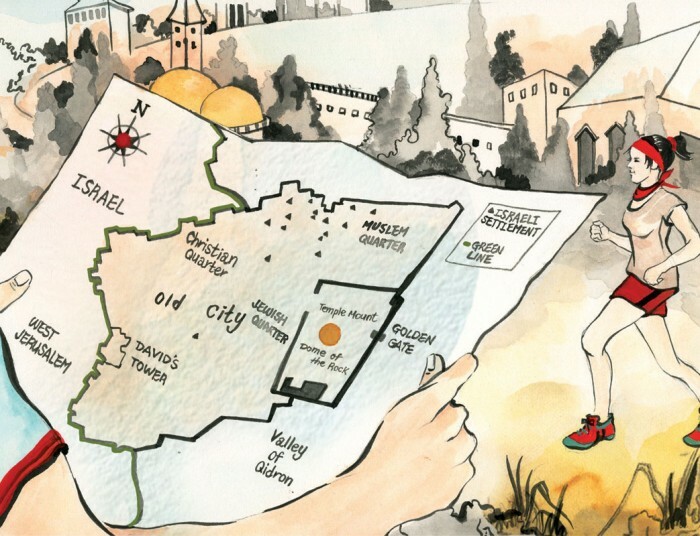 She’s getting the opportunity to illustrate some really interesting articles on running. 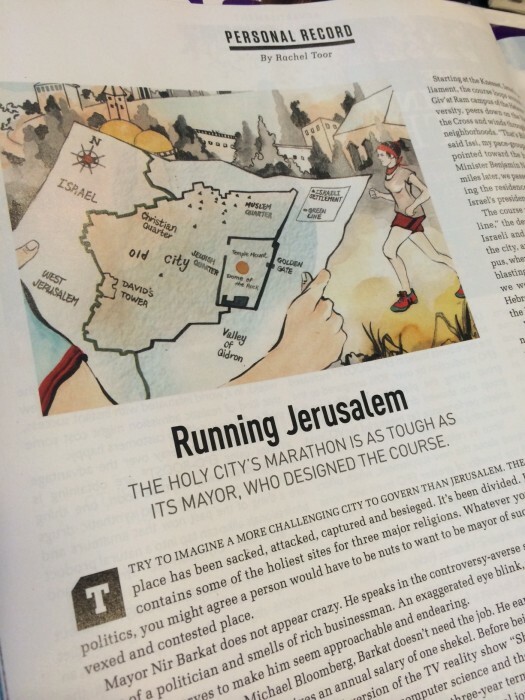 This one is called “Running Jerusalem: The holy city’s marathon is as tough as its mayor, who designed the course.” This marathon is definitely on my bucket list!